The headline in the Shanghai Daily reads, “Early dinner for lovers of dog meat”. NOT. KIDDING. It seems that there is an annual summer solstice festival in Yulin City in southern China where residents gather to eat dog meat and lychee in celebration of the longest day of the year. This is so wrong on so many levels that I can’t stand it! We didn’t bring our beloved Izaak to China with us because it was very difficult and a long hard journey for him to endure. Now, while I miss him so much, I am feeling much better about our decision. TCM (Traditional Chinese Medicine) is huge here and beliefs around what each type of food you eat can do for your body. Apparently local residents believe that dog meat strengthens the body, especially in summer and ensures good health throughout the winter. Man’s best friend elsewhere is just another way to prepare for the long winter ahead here. I get that life in China is rough and that people will try anything to stay healthy but let’s just get these folks some Walgreens with OTC meds readily available and they can go back to enjoying their puppies as pets not meals. Now, I see dogs everywhere I go in China and while they sometimes have pink hair or are wearing jogging outfits and booties, you don’t see dog meat on the local menus. A co-worker did admit to having dog “hot pot” with a friend and told me it was considered a delicacy in some places. He also said it was delicious. I don’t think I’ve looked at him the same ever since. Yes, I am judging you. 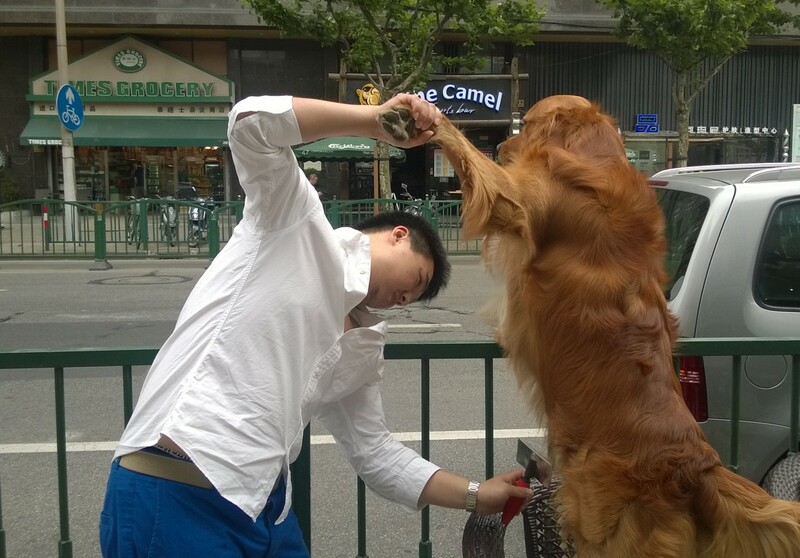 Animal rights activists have caught wind of the dog meat festival and are protesting. The paper said that strays are grabbed off the streets and could have diseases. Oh, so the animal rights activists are concerned with the effect on the people eating the dog and not really advocating for the dog??? Activists are also quoted as saying “the public backlash was damaging the image of Yulin and China.”. You think? The local government only asked restaurants to take “dog” off the menus and signboards but did not ban the sale and consumption of dog. So, if you are travelling in Yulin in the near future, as always in China, watch where you eat. That could be Fido in your Hot Pot.